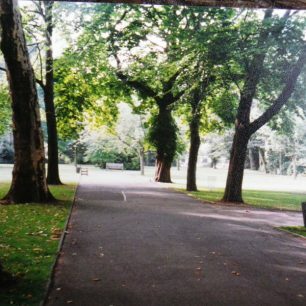 My first acquaintance with St John’s Wood was when I stayed for a couple of weeks with a college friend in Boundary Road, and the second when I was living in Kilburn in 1980/81 and working at a dry cleaners in Hampstead. Up till then St John’s Wood was for me somewhere I passed through on the way to the West End. My job was to collect garments to be cleaned or laundered and deliver them back. 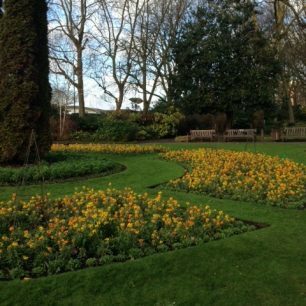 I got to go all over North and North West London, and learned my way around. 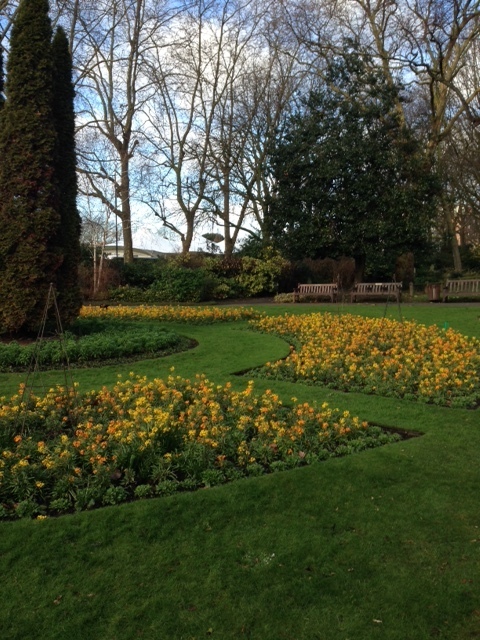 Although most of our customers were in Hampstead and Hampstead Garden Suburb I quite regularly went to St John’s Wood. Two visits stand out. 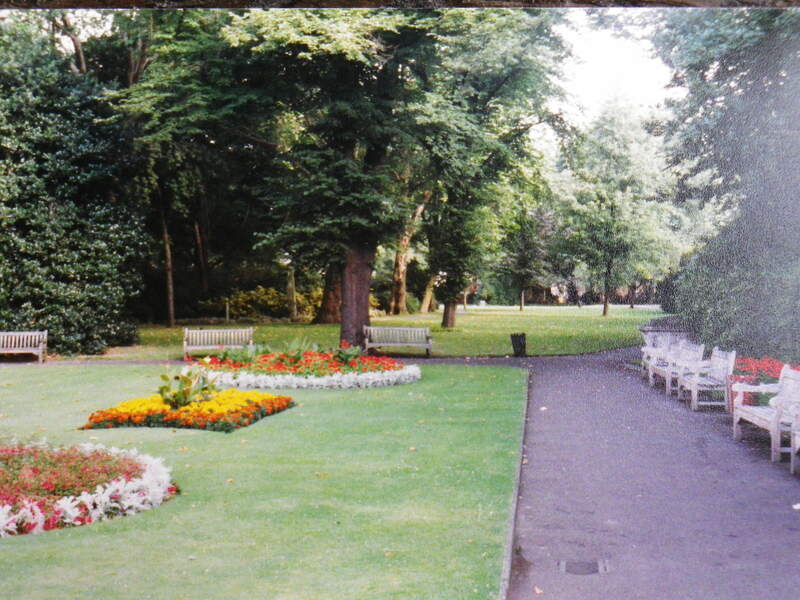 The first was to a mansion block on Park Road , near the Mosque. It belonged to a Middle Eastern prince who had done the apartment up inside like a desert tent, with carpets, low divans and hangings to mimic the inside of a tent. The second was when I collected a ceremonial embroidered cloth from a Jewish family in a mansion block on Abbey Road, with instructions to treat it very carefully. This was not far from Abbey Road Studios which, then as now, always had Beatles fans writing on the wall outside and posing on the crossing. When I delivered the cleaned cloth back, I was ushered into a bedroom where an old man lay dying. I was asked to show the cloth to him. I carefully uncovered it and held it out for his approval. He tentatively reached out and touched it, apparently satisfied, and I was shown out, but the solemnity of those few minutes has stayed with me. When I think of it now, it is like an old master’s painting, the old man in the bed, the family members grouped around, the light filtering through the leaded windows and, above all, the atmosphere of stillness and quiet. 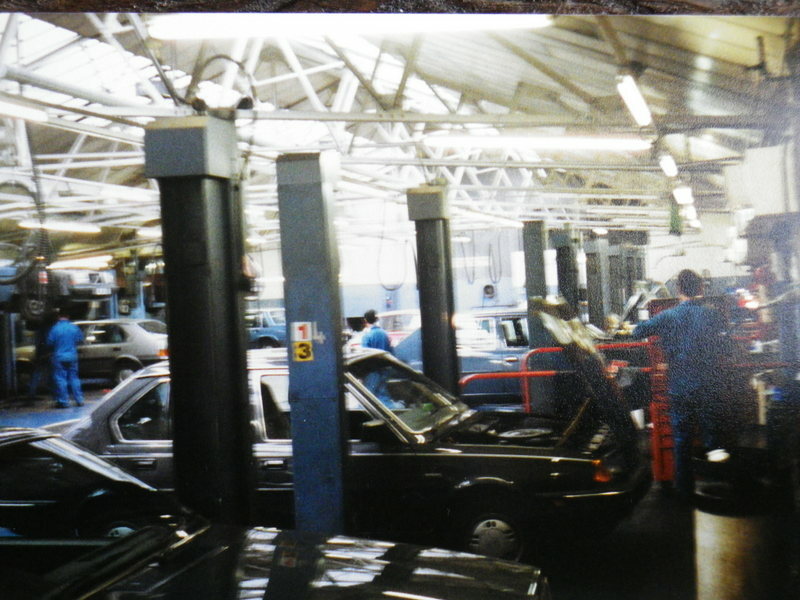 I started work full time in St John’s Wood in February 1983 at Lex Brooklands, which then had a Volvo dealership on St John’s Wood Road, next to Hamilton Close. There is a large apartment block there now. I had applied for the job of workshop controller, and was interviewed by the workshop manager. When he saw I knew my way around the mechanics of a car I was offered the position, at a salary of £6,750. I had to allocate service and repair jobs to the mechanics in the workshop, time them up and pass them to the costing clerk. I had to process warranty claims and, at the end of the week, calculate each mechanic’s performance against the standard times for each job as published in Volvo’s manuals, and calculate their wages. I also needed to liaise with the tester, the workshop manager and the service reception staff. It was a busy job. I needed to quickly get to know the strengths and weaknesses of each mechanic and allocate jobs fairly. This was not easy, as there were star performers and average performers, and it would not be fair to give all the easy servicing jobs to the latter and the problem jobs to the former. Moreover, some of the mechanics would try to improve their performance by taking shortcuts. I don’t think we ever did work that wasn’t necessary, but it may have been rushed occasionally. There was rivalry, of course, and one mechanic for a while habitually did one warranty repair in maybe a quarter of the time it should have taken. I’m sure I was hoodwinked at first over a number of jobs, but I got to know what was going on. 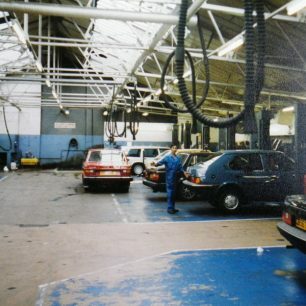 There were grey areas where various adjustments which were included in service times would take longer than they should, and an extra charge would be made, and at that time there was a widespread practice of charging for ‘consumables’, things like fluids and other small quantities of materials used where a whole container couldn’t be charged, and for cleaning materials and wipes, that sort of thing, a practice that was discontinued during my time there. However, standard times are a guide only for relatively new cars, where operations are straightforward. Volvos tend to have a long life, and we would get a steady number of quite old models, with seized and rusted nuts and bolts, intermittent problems and things only a regular driver would recognize. In such cases we would have to charge extra time, which could add up. 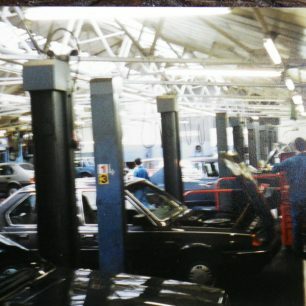 Just as we got a range of models come in, we got a range of customers too, from ordinary people who appreciated a safe, sturdy car to top people. Volvos were popular among the Jewish community, who valued the extended seating of the estate models and the lack of association that quality German cars carried. At that time the image of Volvos was rather staid, so we didn’t get so many customers from the entertainment world, although we did have a rock singer who had what was usually known as the Saint car, the P1800. He came in a few times. Then there was an opera singer who always wore a woolly scarf around his neck whatever the weather to protect his voice. He had a 240, a particularly rugged model that soldiered on and on, clocking up huge mileages, and you still see them about. Another customer who had one of these was elderly and had a heart condition and could only walk with a couple of sticks. He also had a large dog, which one day he left alone in the car too long. It had got restless and needed to relieve itself and, when the owner brought his car in, the rear footwells were swimming in dog urine and the dog had chewed the seats and all the plastic off the headrests. There was no standard operation time for this cleanup job, and the mechanic wasn’t pleased to be given it. Another of these cars was brought in with the owner complaining of an awful smell. It wasn’t hard to find. Between the engine and the radiator is a space with a horizontal tray below to stop debris from the road being thrown up into the fan, and on this tray the mechanic found the headless body of a cat. The cat must have thought this a nice, comfortable place to sleep, between a warm engine and radiator and, when the car was started the next morning, the fan sliced its head off. Over the next few days, repeated warming and cooling of the carcass brought the inevitable result. The unfortunate cat’s head was nowhere to be found. Some of the cars themselves were special. When a car belonging to a member of the Royal Family came in, after we had serviced it, it was taken off to be gone over by Special Branch to make sure nothing had got in that shouldn’t be there, and a car belonging to a director of one of the giants of retail had to go on the MOT ramp as, having armour plating and double thickness glass, it was too heavy for the ordinary hoists. There are good reasons why customers are not allowed in the workshop. One day I was returning to the office from the other end of the workshop. One of the mechanics had a brand new 340 up on his hoist for a pre delivery inspection. I noticed that the rubber pad on the end of one of the arms of the hoist appeared not to be secure under the car body lifting point, and alerted the mechanic. I had hardly gone a few steps when there was an almighty crash behind me and the brand new car was lying on its side on the floor, having narrowly missed the mechanic himself, who was now in shock. Everyone there was a character, from each of the mechanics to the sales, office, reception and stores staff, having people from Hong Kong, Burma, Cyprus, Czechoslovakia, Barbados, Jamaica and Ireland, with proper Londoners too. Mostly, everyone got on so well that when the premises were sold off for housing there were a couple of staff reunions, which were held in the large, ornate pub which I think was called the Crown, on the corner of Cunningham and Aberdeen Places, just a few steps away. During the time I was there I did get to know the area a bit more. At the time I was living in Burnt Oak and would occasionally drive to work as the traffic then wasn’t as horrendous as it is now, coming down West End Lane, Abbey Road and Grove End Road, and on the way home I liked to drive along Hamilton Terrace just for the pleasure of looking at the fine houses. 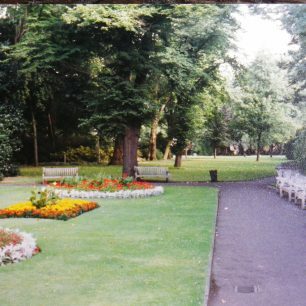 Mostly though, I would take the tube to Golders Green, and the bus down Finchley Road to get off outside St John’s Wood Churchyard and walk along St John’s Wood Road past Lord’s Cricket Ground. I soon found that the Churchyard was a beautiful place to sit for five minutes and build up for the day. 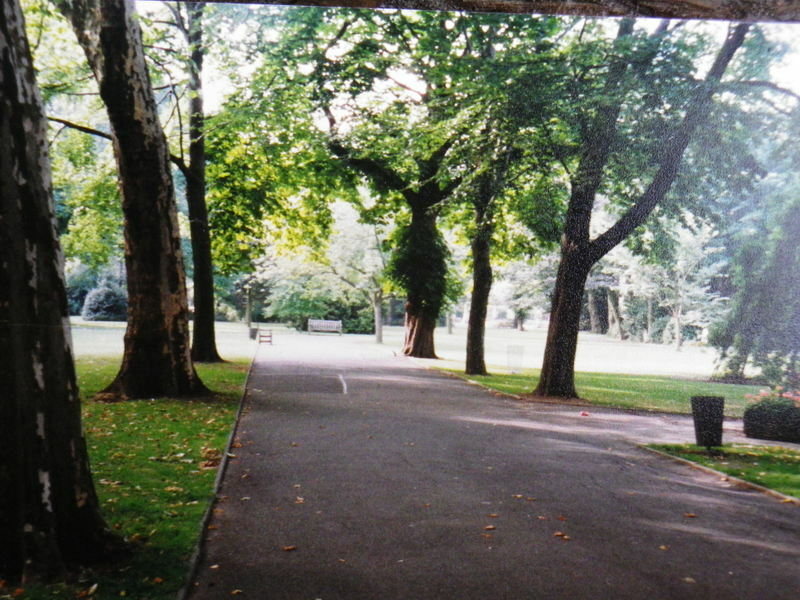 I liked to enter from the Wellington Place gate and walk beneath the tall trees into the planted garden part and sit on one of the benches in the sun. Despite the traffic thundering past beyond the railings, it had a sense of intimacy and privacy, and I hated it when anyone else dared to sit there too. Then, walking back to the bus after work, there might still be things going on at Lord’s, and there would be men with blazers and MCC ties and their ladies in summer dresses coming and going, and from time to time I got glimpses of the Ground itself inside the high walls. Sometimes at lunch a group of us would go to a pub down Lisson Grove near the canal. Yet other times I would walk across Maida Vale into Clifton Road and have lunch in a pub that had a real fire in the winter, the Eagle. When the weather was warm I might make sandwiches and eat them as I walked along Clifton Gardens to the wonderful Clifton Nurseries, which I still visit. After five years at Lex, I was offered a position at a Fiat dealership in St Albans, and some time after that the site was sold off to build an apartment block, which is still there. This page was added on 26/02/2018. 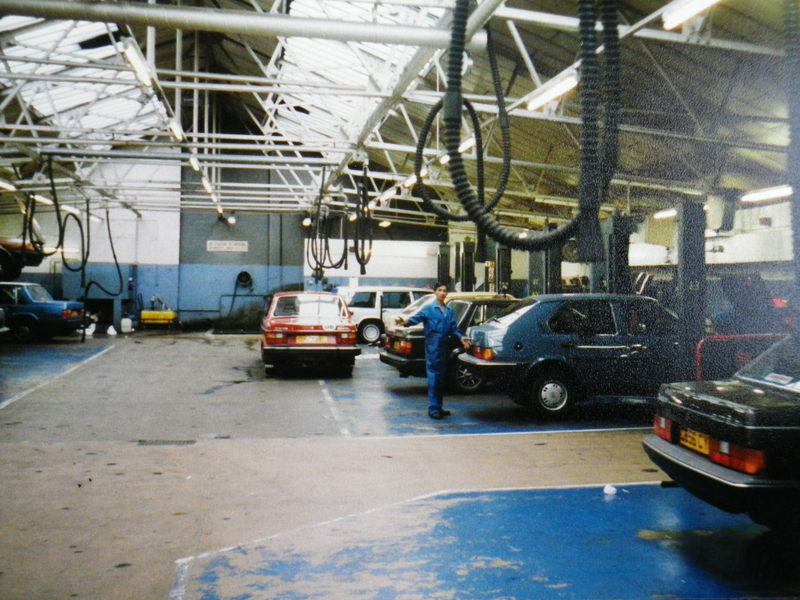 I just stumbled across this blog, I also worked St Johns Wood, 1985-1987, selling new and used cars. The Sales Manager’s surname was Perry, I think, he was Irish, also Lee Freegard + others. I came from Australia to play rugby, with my wife, and my son was born in Hertfordshire. It was a great dealership to work and we had some good times. I sold Bronski Beat a Volvo 760, great memories, cheers. Very interesting reading,I worked at William Road for 15 years and went to Paddington College with some of the apprentices from the Wood and GA ,remember some of the names here and many others from TDS. Great days! I am in contact with posts of ex lex on fb -so many want a big reunion but nothing has happened yet maybe this is the year Paul Martin. I used to tax the cars from Widley Road delivery centre. Tony Freeman was the manager. Freddie Mercury bought a Volvo 740 there in May 1988. How do you remember that, and in what circumstances. It would be interesting to know.